I met with a florist/wedding designer this week with one of my brides. We discussed flowers, lighting, table arrangements, linens and much more. 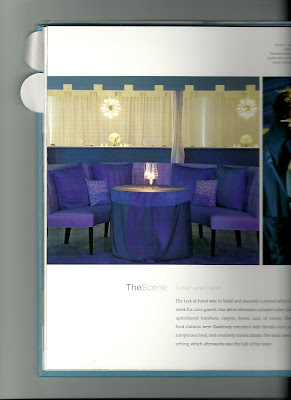 We tried to stress to the vendor that we were going for lounge seating, cool lighting and clean/simple linens. While everything about this wedding is spectacular...I want to point out the key elements that really stick out to me, so that maybe you can incorporate some this into your next event. 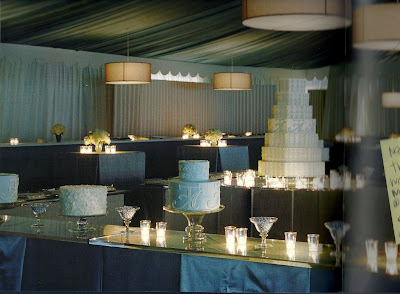 Notice the rectangular shape surrounding the cake and the thin rectangular tables being used to display smaller cakes. We are so accustomed to seeing everything round, that the rectangle actually gives a new sense of style and feel to the event. Try replacing your hightop cocktail rounds with a high, narrow rectangle table instead. I also love the glass tops instead of just a plain cloth draped over a table. 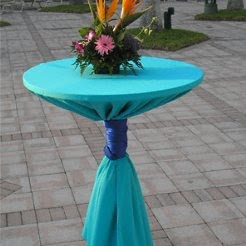 If we are trying to create a "living room" feel, then why not dress your tables as you would in your home. I love the pleated tablecloths. It is such a fresh look compared to the round highboys with a tie! Lighting is everything....The room is beautifully decorated, but without the bright light around the bar and the deep mood lighting around the room, the atmosphere would have a completely different feel. The venue I am using for a fall wedding has built in bars just like this. I am very excited about pulling off this same look!